Graz, Austria – Austrian ski jumper Lukas Mueller has been left partially paralyzed by injuries sustained last week in a fall during training for the FIS Ski Flying World Championships in Tauplitz/Bad Mitterndorf, Austria. Doctors say that the 23-year-old Mueller, who underwent spinal surgery last Wednesday in Graz to stabilize fractures to two cervical vertebrae, still has some limited sensation in his legs but is unable to move them. They were unable to predict if Mueller will ever be able to walk again, and don’t expect to be able to provide a prognosis for another year. 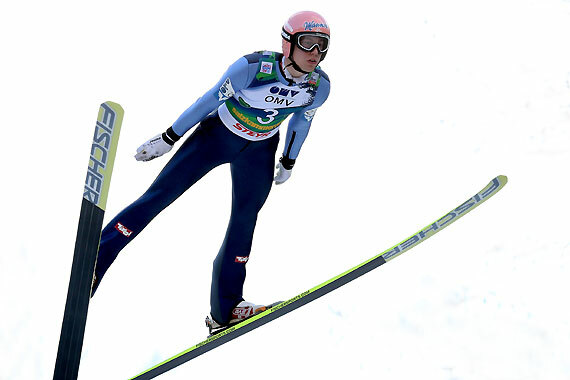 The junior world ski jumping champion in 2009, Mueller lost his balance and fell on landing at the 120-meter Kulm hill in Tauplitz during heavy snowfall at last Wednesday’s training. Race director Harald Haim said everything appeared normal until he lost his balance, and that a review of television footage appeared to indicate that Mueller’s boot came unbuckled. Mueller competed in 16 World Cup events from 2009-13, and earned a career-best sixth at the first stop of the 2009-10 Four Hills Tour in Oberstdorf, Germany.